It seems like an eternity, but Netflix on Sky Q is finally here. Originally announced back in March 2018 that Sky and Netflix had reached an agreement to bring the service to Sky. You will no longer need to switch over to your Xbox 1, PS4 or smart TV stick to be able to watch Netflix at your home. Instead you be able to watch the subscription-based TV service on all of your Sky Q devices. When Is Netflix Available On Sky? Netflix is available NOW on Sky Q, released on 1st November 2018. To be able to receive it you will need to make sure that you’re subscribed to the relevant Sky Q subscription or have an existing Netflix account. 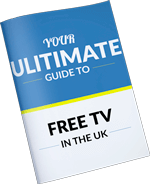 If you do not have a Sky Q subscription, but a Sky+ or Sky+HD you will also need to upgrade your subscription to Sky Q to be able to receive this. How Much Does Netflix Cost On Sky? To be able to view Netflix on your Sky box you will need to subscribe to the ‘Ultimate On Demand’ package. This costs an additional £10 per month in the UK to add this to your subscription and this includes the Netflix standard package. So, you will need to already have a Sky subscription to be able to add Netflix to your service. 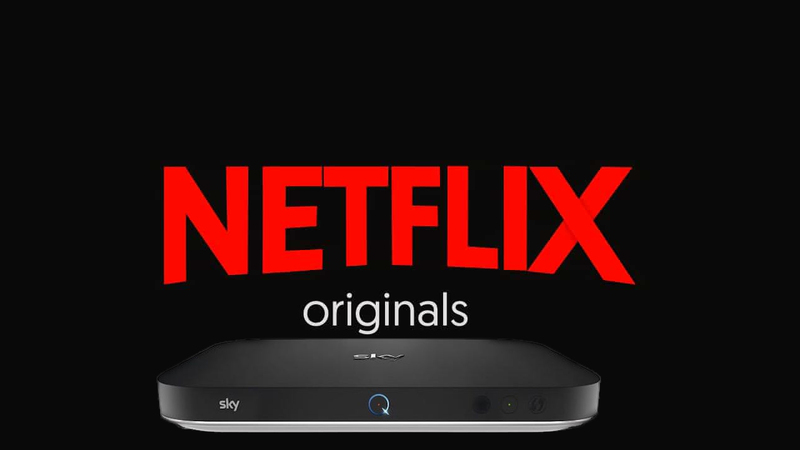 You may have released that the Netflix Standard package is normally £7.99 per month and you may be wondering why you have to pay an additional £2.01 to be able to receive the service on your Sky Q box. This is because together with being able to receive Netflix on the ‘Ultimate On Demand’ package you will also be able to receive Sky Box Sets which alone is otherwise £5 per month. Taking it as a bundle means that you actually save a few pounds per month which might come as a bonus to you. Can I Get Netflix In Ultra HD on Sky? The answer to this is yes however it is only compatible with the “Sky Q Experience” upgrade to your monthly subscription. It’s amazing how easy Sky manage to squeeze the extra add on and payments! This is an additional £12 per months which is added to the Ultimate On Demand package making this service altogether an additional £22 per month. To be able to receive the Sky Q Experience you also need to be using the Sky Q 2TB box. To get the full benefit of the UHD or 4K picture you will need to have a compatible TV that supports those HDTV resolutions. You will also need to ensure that your HDMI cable is connected to the correct HDMI input on your TV and that within the settings of the Sky Q box that the resolution is set to ‘UHD’. Together with a modern TV the combination of Netflix & Sky Q box can create some truly breath-taking images. Just make sure that you have a decent broadband speed if you’re going to be streaming in UHD as all that extra information that goes into the TV picture requires more bandwidth and broadband speed to be able to deliver it. Can I Get Netflix On My Sky+ or Sky+HD Box? The answer is no I’m afraid. You will need to upgrade your service to a Sky Q service which may cost a little more than your existing subscription. This involves the installation of a new Sky box and an LNB replacement for most domestic properties. If you live in a block of flats it may be worth checking with your managing agents or landlord whether the system has been updated to receive Sky Q because if it hasn’t, the Sky Q service will not work. It’s also worth noting that if you currently have Sky multi-room, a Sky playback system or a diplexed system where the TV aerial has been combined with a satellite system further work will be required to keep this working. I won’t go into it anymore here as I have already done so at length in previous blogs and videos on our Youtube channel which you can find below. How To Distribute Sky Q Around Your Home – Advice on replacing your magic eye Sky playback system. Does This Mean You Have To Pay For Netflix Twice? I can understand that with there being required changes to your Sky Q subscription you may think that you would have to pay for Netflix twice for you to be able to continue viewing it on your other devices, but this isn’t true. Once you have signed up for ‘Ultimate On Demand’ and logged into your Netflix account Sky will take care of the necessary changes to your Netflix account or you can login to Netflix with your existing account in the apps screen on the Sky Q box. Can I use My Existing Netflix Subscription On Sky Q? Yes you can, you just need to head over to the apps screen.Find the Netflix application and login there. Doing it this way means that you will not be billed for Netflix direct from Sky but as you're are already paying for it with Sky and Netflix payments coming out of your account separately. I hoped you liked the blog, if your after some answers to more questions please do LEAVE A COMMENT in the blog comment section below and I will get back to you ASAP. Please also check out the Sky website for more relevant information on billing etc. Please, please, please DO NOT CALL OUR TELEPHONE LINES with your enquiries. These are intended for customers in Sussex and Kent only and no one is there that can offer your support. Gemma in the office is also under strict instructions to not hand out my personal mobile as well (If you could catch me on it anyway as I’m always on a roof, driving or in a meeting). Please also DO NOT E-MAIL as I can’t manage all the enquiries that come in. People get upset with me when I don’t respond but by posting a comment in the blog comment section below everyone reading will get the benefit of the question asked and the answer given, it also saves me to have to keep answering the same questions.